Our Portfolio and Photography Slideshow is a dynamic collection of images from a number of our shoots which, when combined and choreographed with special transitions and music, makes it into a video that highlights some of our photography work. Featured images are from weddings, events, commercial, product, virtual, modeling and portraits that we have photographed. Using dynamic transitions choreographed to the images, we wanted to show examples of our photography portfolio as San Diego photographers. In addition, this photography slideshow demonstrates the type of upbeat slideshow that can be made. In fact, this type of photography slideshow is not limited to using only photos that we’ve captured, as the slideshows can also be made using photos that are provided to us that have been taken by others. 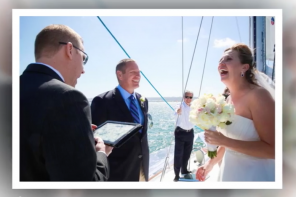 Slideshows like this can be used for a number of purposes, more than just for showing work as a wedding San Diego event photographer. Weddings and corporate events are very well suited to having slideshows built using images from these events because of their dynamic and storytelling nature. But photography slideshows can also be used to show any series of photos in a more interesting and entertaining way, as shown in our portfolio slideshow. As San Diego Photographers, we are often called upon to capture there are often many kinds of destination weddings, corporate events, and commercial projects that take place in this city. Photographing images for these events and even commercial projects, can be an ongoing and interesting area of work. Providing first-class services like on-location or studio photography, print products, online galleries and other digital photography products, can be enhanced using a photography slideshow. Contact us to find out more about how quickly and affordably digital photography products and photography slideshows can be created.